This example to learn UITableView using storyboard. 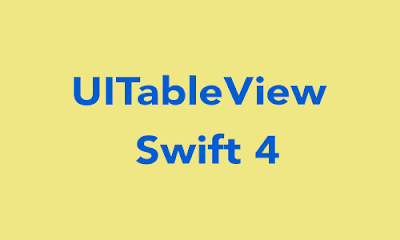 the previous example study to Create UITableView Programatically swift 4. 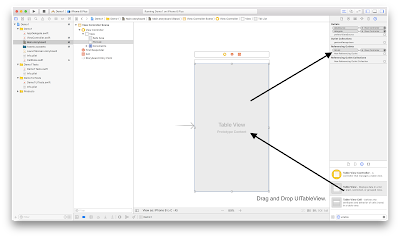 After create new project, Go to the UIViewController file and Create a instance of UITableView. also gives delegate and datasource. 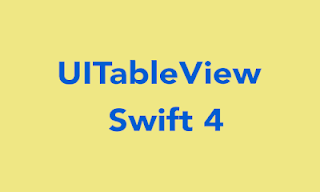 @IBOutlet var tblList : UITableView! Go to the storyboard , drag and drop UITableView in the storyboard, also give IBOutlet connection with tableview in storyboard. Create class of UITableViewCell with name "CellData". Add the UILabel with name "lblName". The Code of the class. @IBOutlet var lblName : UILabel! After create class of UITableViewCell. drag and drop UITableViewCell and also add the UILabel inside the Cell. Give the UITableViewCell custom class name "CellData". Add the IBOutlet Connection of lblName. 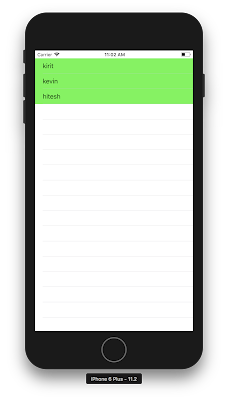 gives the identifier of UITableViewCell. 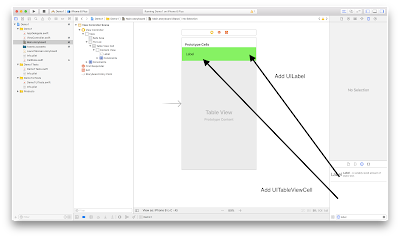 The full code of the UIViewController.